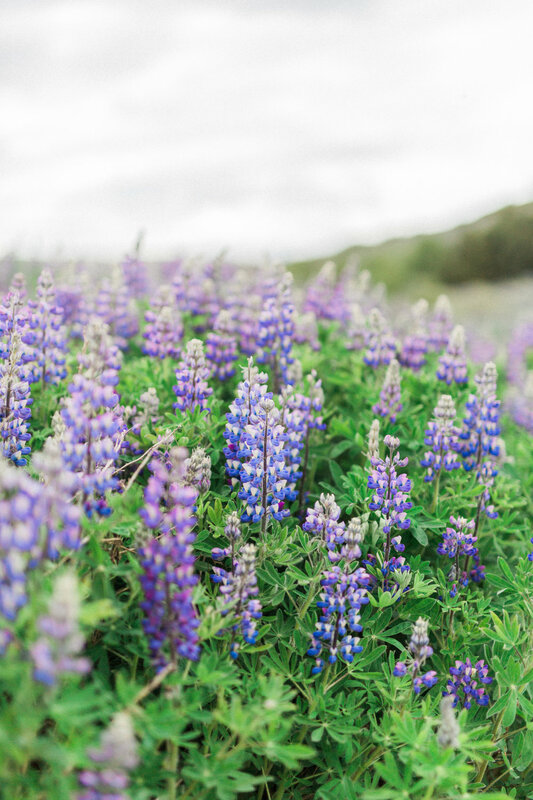 The lupine fields of Iceland bloom in the summer time and are the perfect floral contrast to the otherwise dramatic and unforgiving landscapes of Iceland. 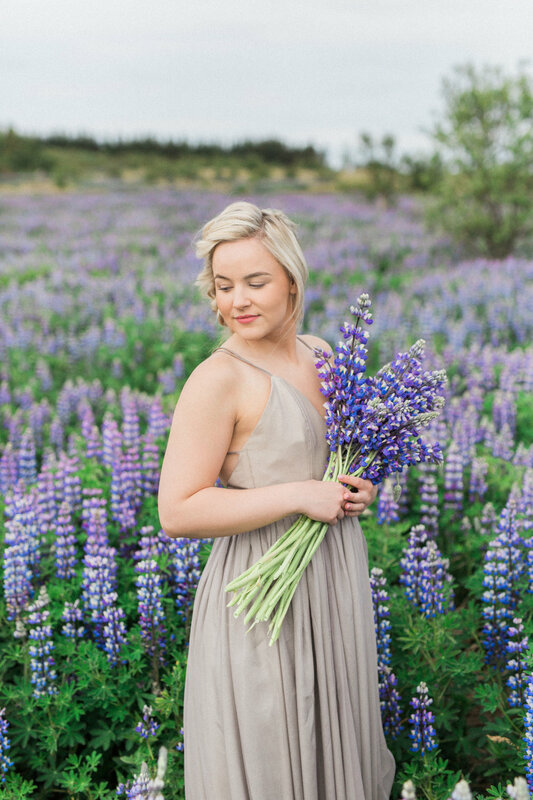 When creating this styled bohemian shoot, we wanted to be sure that we maintained the rugged beauty of Iceland while alluding to its vast open spaces and lush fields of lupines. 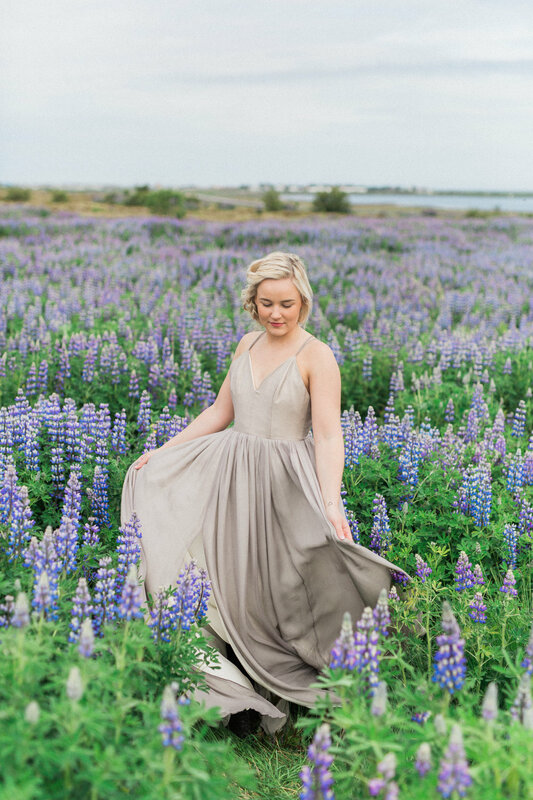 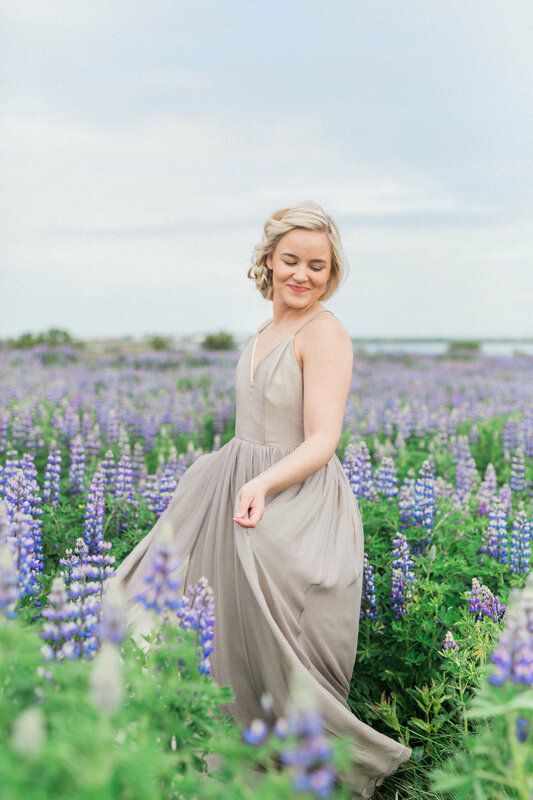 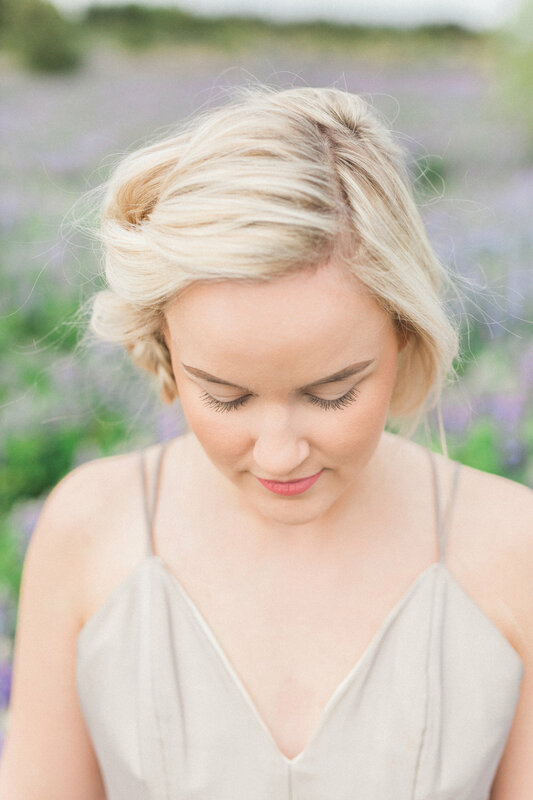 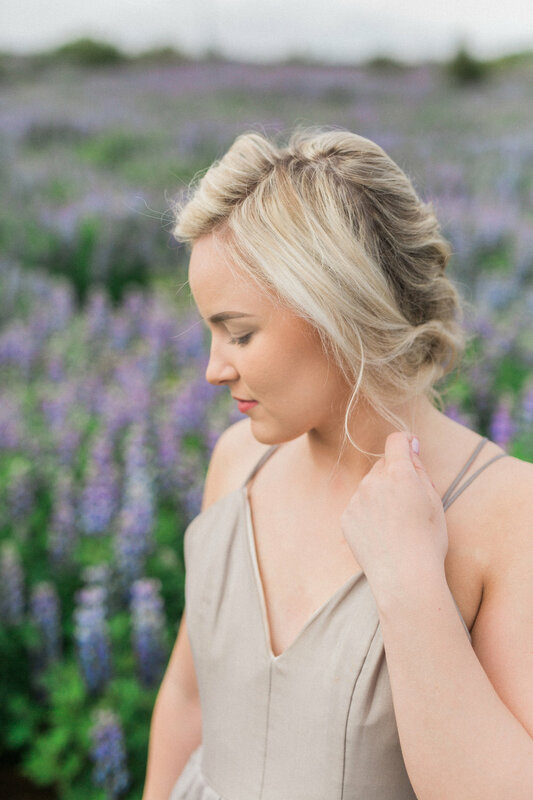 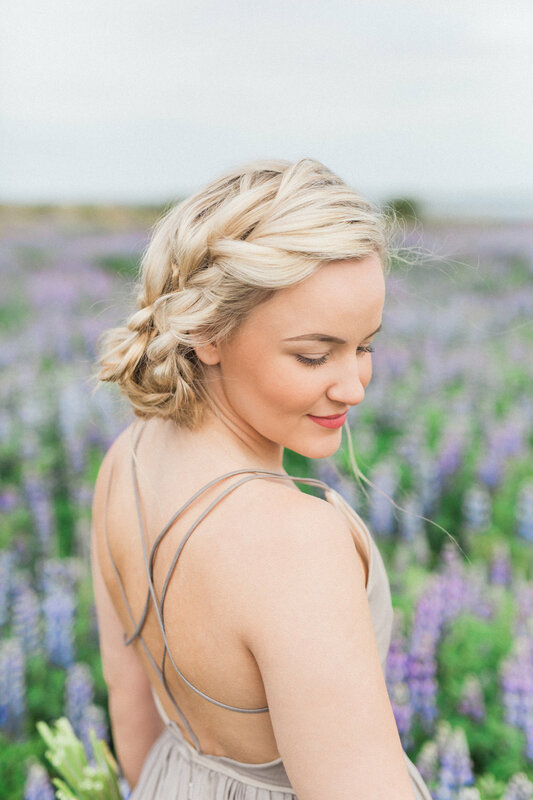 Situated just outside of Reykjavik, this lupine field lent itself beautifully to complement our stunning dress from Jillian Fellers Bridal. 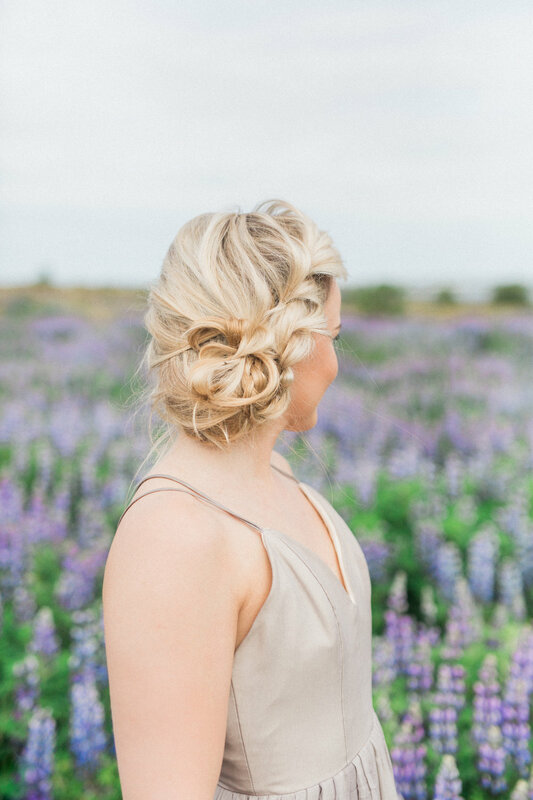 With a loose and textured updo, our model was effortlessly stunning and fit our theme perfectly. 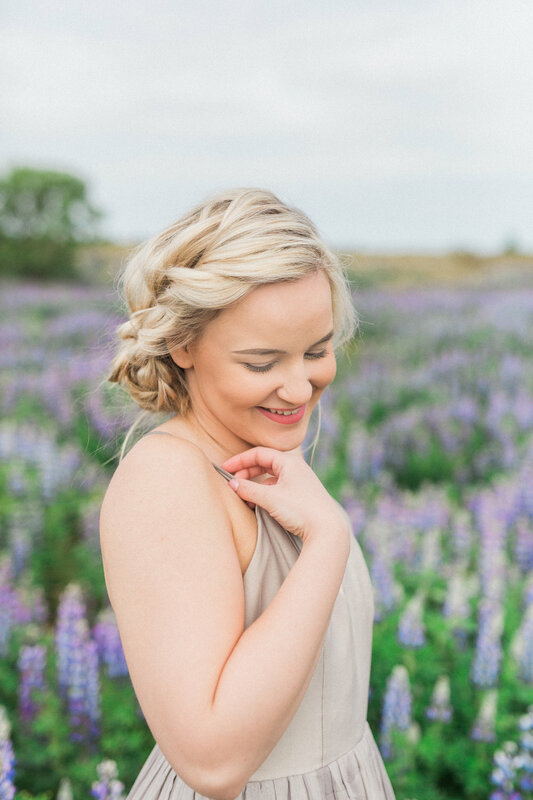 Creating the story of a girl looking for a fresh start in the vastness of Iceland was brought to life by the seemingly endless fields of lupins and the rolling countryside surroundings.